Apple AirPods are not waterproof or water-resistant, so their use around water, on rainy days, or even during workouts puts them at risk of damage. Apple will not replace AirPods damaged by water; you will have to order a new pair if they are impaired or destroyed by exposure to liquid. Multiple other companies offer earbuds that work well with iPhones and iPads and that are reliably water-resistant. Wireless, compact, and easy to use, Apple AirPods are one of the most convenient pieces of audio hardware out there these days. While compatible with any Bluetooth device, they integrate seamlessly with any iPhone running iOS 10 or a later system. And ever since Apple removed the headphone jack starting with the iPhone 7, this ease of connectivity is more important than ever. AirPods offer up to five continuous hours of audio, they can be charged simply by putting them in their case, you can control many functions with a gentle tap, they allow you to take and make calls, and they work with Siri. Until they get wet, that is — then they probably won’t work at all. And Apple won’t cover damage caused by water — you’ll have to replace your AirPods out of your own pocket. So keep your AirPods dry by not wearing them in the rain, keeping them away from water, taking them out when you’re going to be sweating, and by only cleaning them with a dry cloth or a soft bristled brush. AirPods are great thanks to their perfect pairing with other Apple devices, but if you want a set of earbuds you can wear while you exercise, while it rains, or when you’re around water, then you need to look elsewhere. If you don’t mind a slender wire wrapping around the back of your neck, AUKEY offers their $59 water-resistant B80 earbuds for a hundred dollars less than a new set of Apple AirPods, and they will connect just fine with your iPhone. 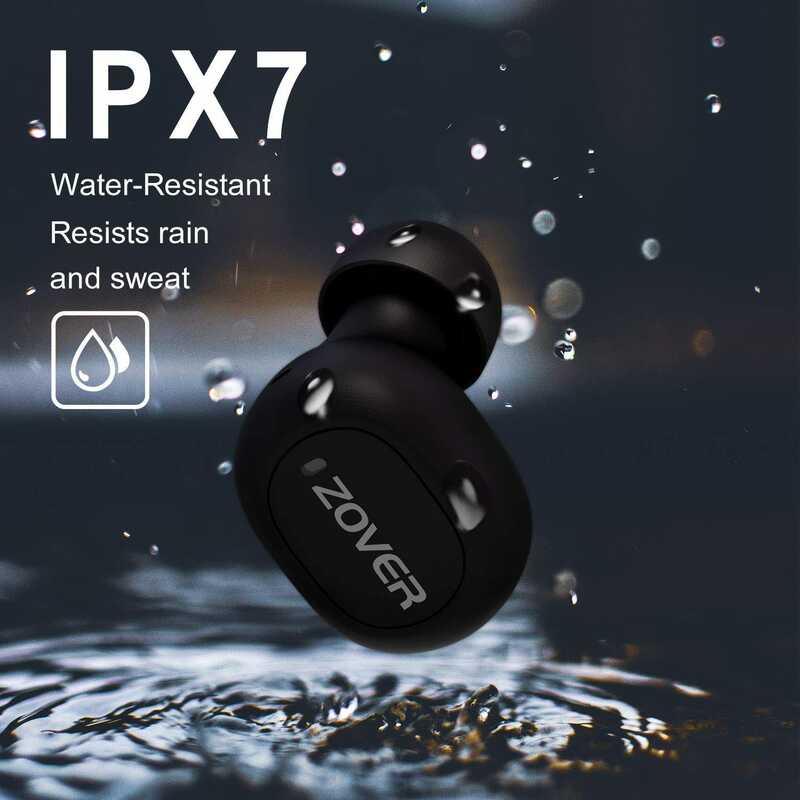 A company called Zover even offers fully wire-free earbuds rated at IPX7 waterproofing that were designed for use during jogs or workouts, and at a reasonable price of $59.99. On the higher-end side of things, the Bragi Dash Pro wireless headphones are another pair that feature water resistance, though they clock in at $239 or more on Amazon.